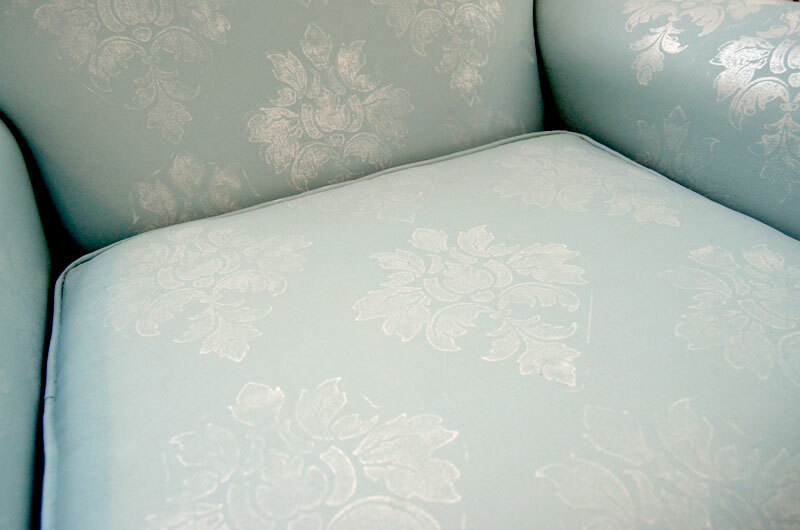 Last week I promised that I would show you how I got the damask-like pattern on the upholstered chair that I painted. No, it’s not a stencil. It’s a stamp! 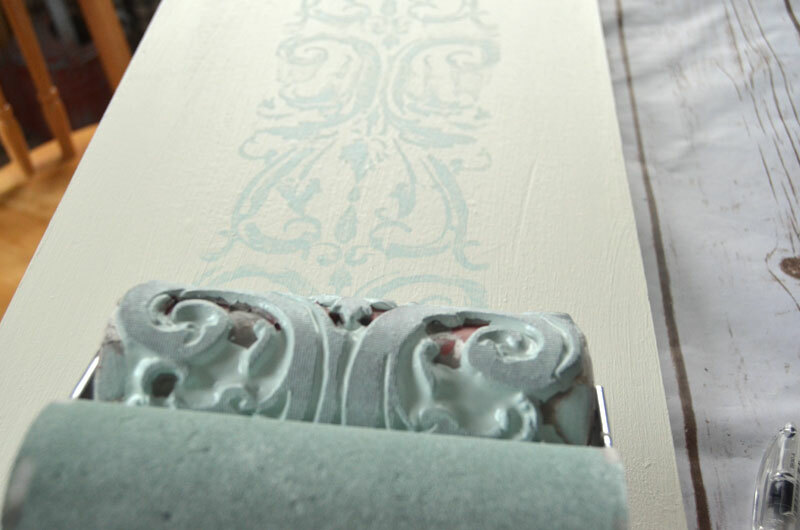 An Iron Orchid Designs Decor Stamp (Fleur). 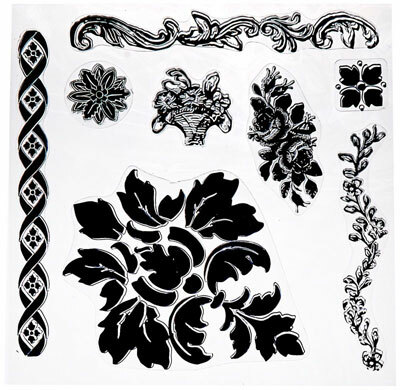 If you are a crafter you may be familiar with stamps and acrylic blocks that are used on paper for greeting cards and scrapbook pages. 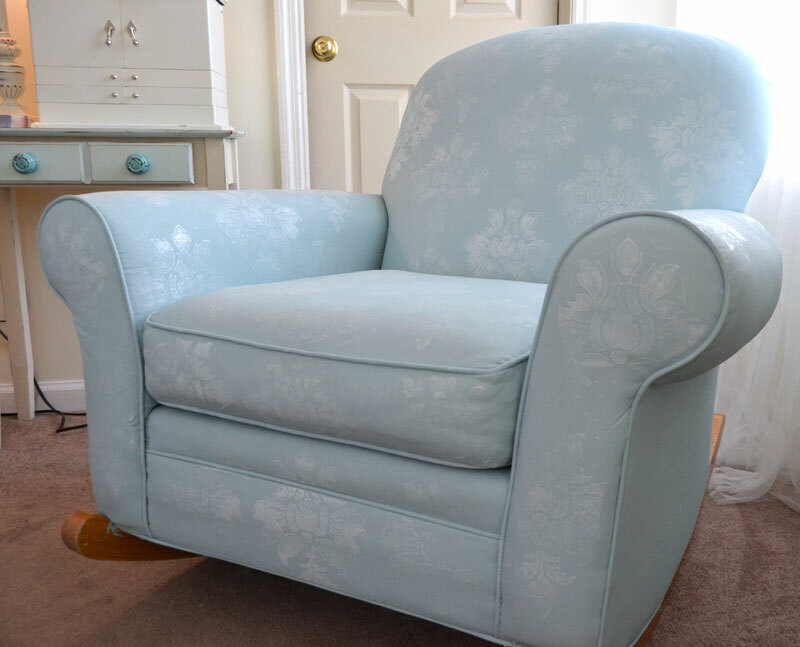 This is the same concept – only made larger for home decor! And instead of pressing the stamp into an ink pad, you roll on the ink with an applicator tool which is essentially a small foam paint roller. 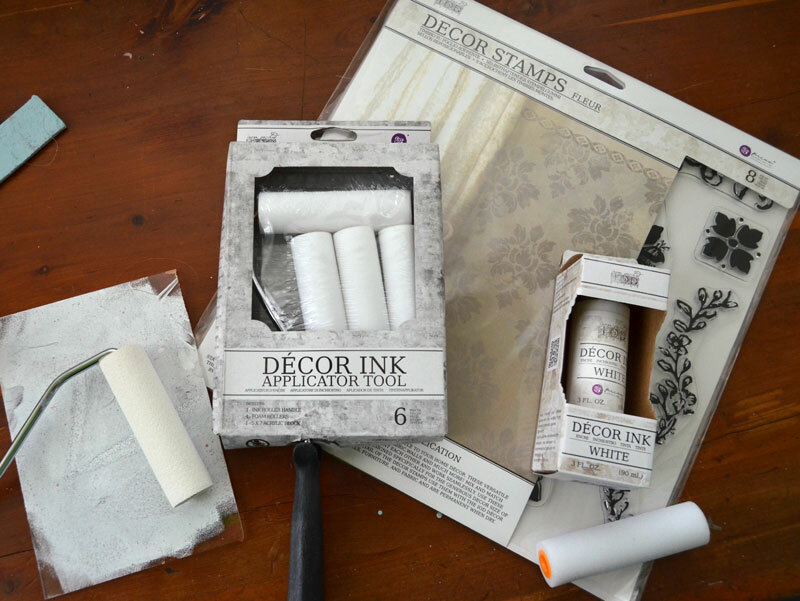 Following the directions on the packaging of the Application Tool Kit, roll the ink onto the Decor Stamp. 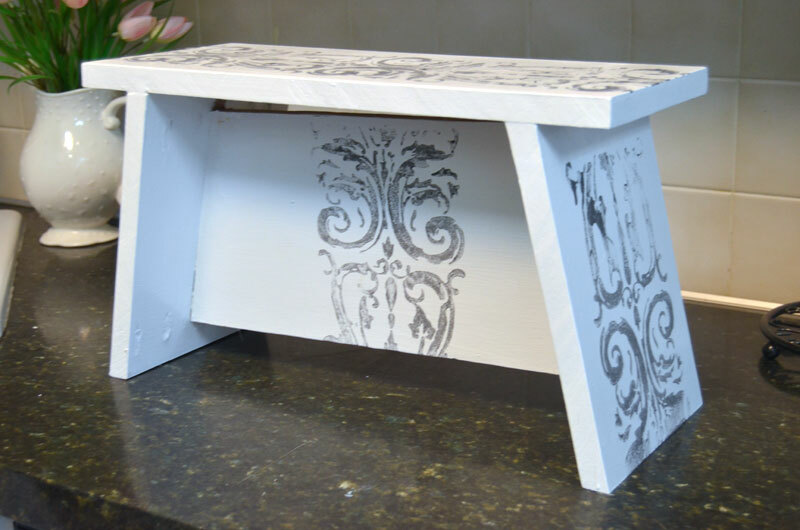 Step 3 – Allow ink to dry and then admire your “new” piece of furniture! Yes, that’s it! It couldn’t be any easier. 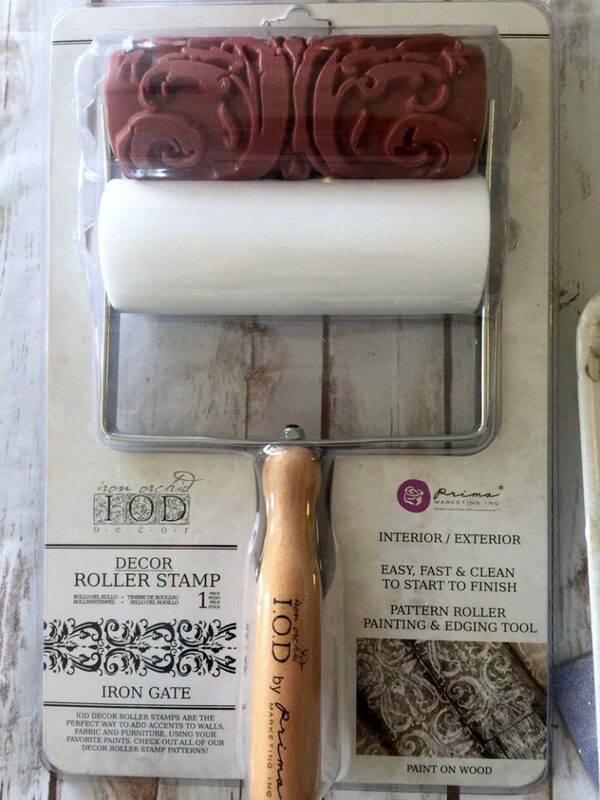 IOD by Prima Decor Stamps are a fabulous way to put a unique style into your home decorating. They work on furniture, fabric, and walls. There are so many designs available and they can be mixed and matched to make your own one of a kind design. 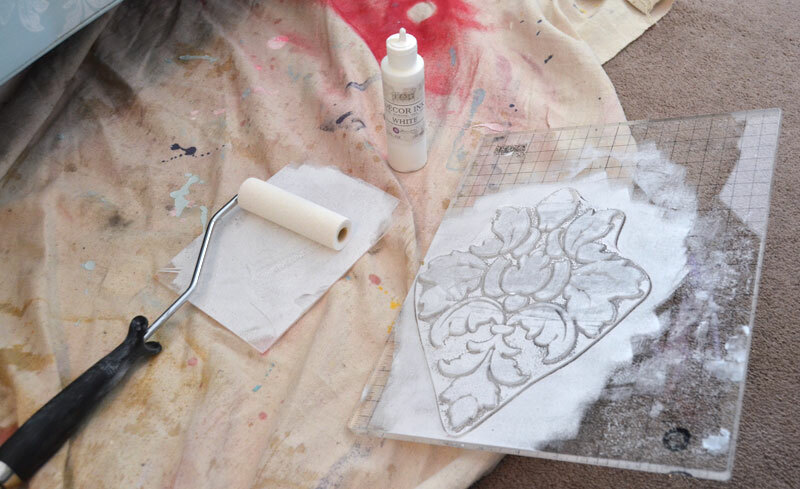 I used them with the IOD by Prima Decor Ink, but you can also use your favorite paints – even chalky style paint! I want to tell you about another “stamp-like” product that Iron Orchid Design makes that I think is pretty awesome. 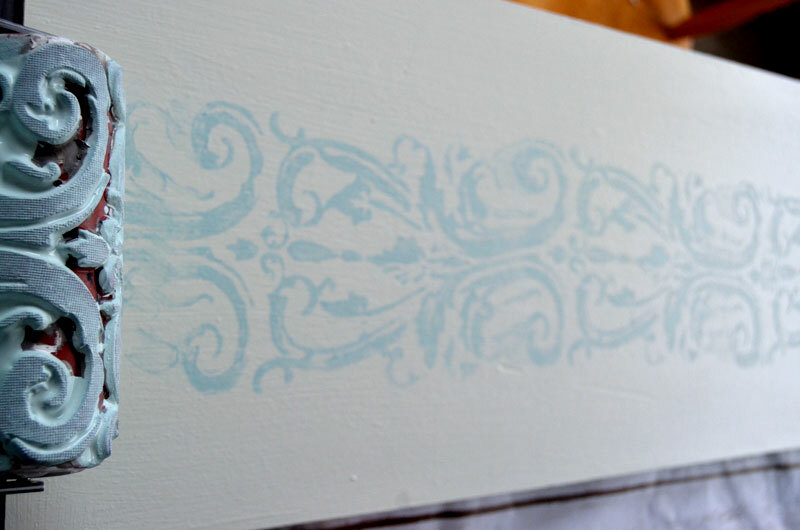 It’s a roller stamp and it’s an easy way to paint a pattern onto a flat surface. 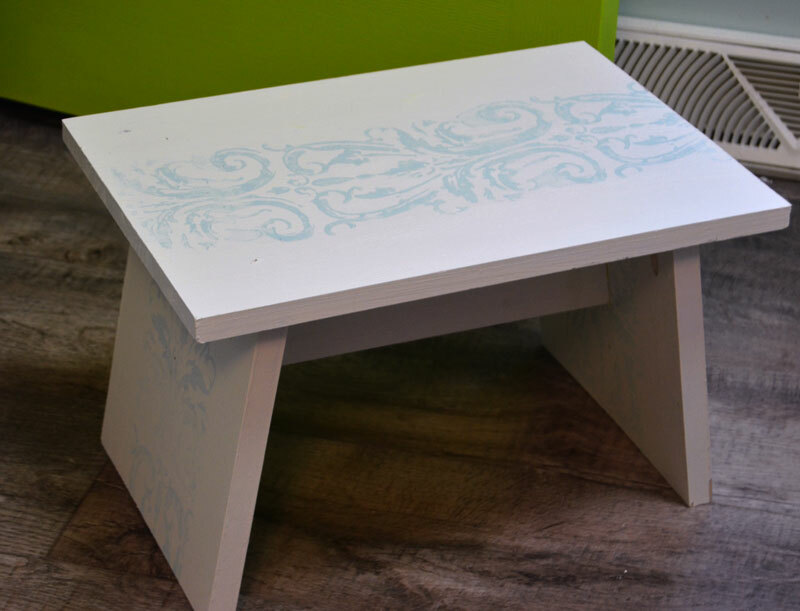 Paint the wood first before assembling the stool! Another tip is to practice, practice, practice using these rollers on paper or scrap wood first! You kind of have to get the feel for how much paint to have on the roller and it’s not something that can easily be explained. You have to just the feel for it I guess. But I’m telling you, after you get the hang of it you’ll be looking around your house for something else to use these roller stamps on! Wow really creative. I love the fleur design, does the design come with the package or do I still have to make it?